There’s a saying, never believe everything you read in the newspapers. That applies to the internet. in the southeastern part of the city. 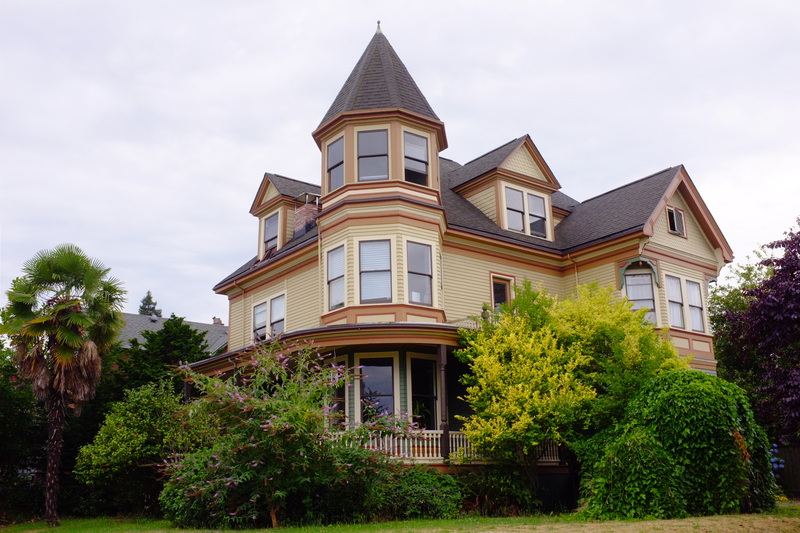 The house overlooks Lake Union from the third-floor observation tower on the front corner. A woman entered the house while we were there. The place seems occupied and in good repair. 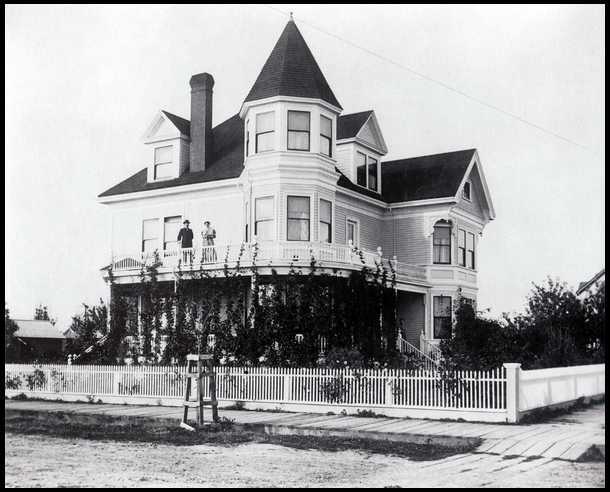 Trolling through Google, I came across a century-old picture of the house. The man who posted the picture thinks you see Will Thompson and his wife on the second-floor porch. The porch railings disappeared over the last hundred years. So did the white picket fence. The historical photograph comes up in a chain of comments on an archery site. Another archery site contains the best biography I’ve encountered so far of Maurice Thompson, Will’s brother and the father of archery in the United States. That document places Maurice in the Confederate Army of Tennessee as part of the 63rd Georgia. So much for my theory about the brothers enlisting together in the 40th Georgia. The author believes Will, at least, surrendered as part of the Army of Northern Virginia. But Will’s name fails to appear in the record of paroles (W. Nine & R. Wilson, The Appomattox Paroles, April 9 -15, 1865 (Lynchburg: H. E. Howard, 1989). But that does not prove he received no parole. So plenty of information floats around, much of which you never encountered before the internet. But almost all the information amounts to hearsay from secondary sources. We need footnotes and sources. Archers have preserved the memory of the Thompson brothers. The short biography paints in color Maurice, the novelist and author of books on archery (http://obermeyerlaw.com/archery/JamesMauriceThompson/BiographicalCompilation/JamesMauriceThompson.pdf). Articles in books about lawyer poets and local encyclopaedias contain different information. Most writings on the internet disagree about basic facts. No one cites any sources. For example, some internet publications give Will Thompson’s date of birth as 1844. Only a few give 1848, which I took as correct. Last week I stumbled onto a photograph of Will Thompson’s gravestone (find-a-grave.com). The gravestone states his year of birth as 1846. His family must have known the correct year of birth. Without citations to some written record, treat internet postings as gossip. Two Confederate soldiers led fascinating lives but the facts I relied on proved quicksand. Will Henry Thompson needs a better historian than me. Beautiful home in Seattle. I wasn’t clear: was he a relative? And how? No, he’s not a relative. I’ve always liked his poem, which I read as a teenager in Best-Loved Poems of the American People, so I added it to a Gettysburg post. Then I started down the rabbit trail thinking he had fought with the 4th Georgia Infantry at Gettysburg, which some website reported, and slowly found out that was wrong. Now I confess I haven’t discovered with whom he fought in the Army of Northern Virginia. So I wrote too many times about him. Interesting man, though. What a life. Thanks, but I have no special expertise, just lots of search time on Google.